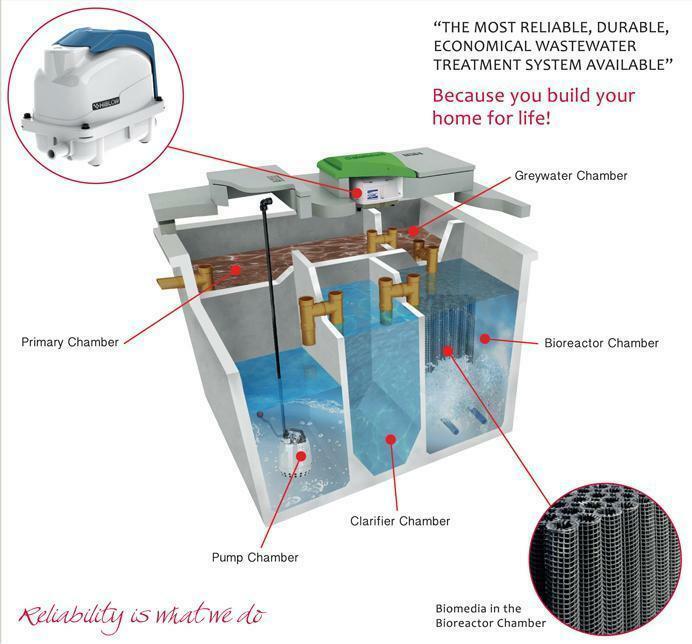 This is the ideal wastewater treatment system for domestic dwellings. Whether it is a new build, a renovation or a tank upgrade this is the most effective solution for the standard family size. Our tank is efficient, reliable, durable and economical. The Oakstown BAF® System is housed in one 6730 litre concrete tank which gives a much longer desludging interval than most systems. The system is certified by The Irish Agrement Board for use by 6 people. Unlike some plastic systems, the concrete tank will not rise, or crush, when groundwater rises and clay expands during inclement weather. Furthermore, there is no requirement for concrete backfiling around our tanks – simply backfill with clay – a considerable saving. When installed, the BAF System is fitted flush with the surrounding ground level – no unsightly equipment protruding above ground. O’Reilly Oakstown supply, fit and commission each system. We don’t simply drop it on site. Our staff will be on hand during installation with good advice borne of years of experience to ensure that your system is perfectly installed. We supply the Electronic Control Box, Alarm Panel and all the necessary cable for each system.